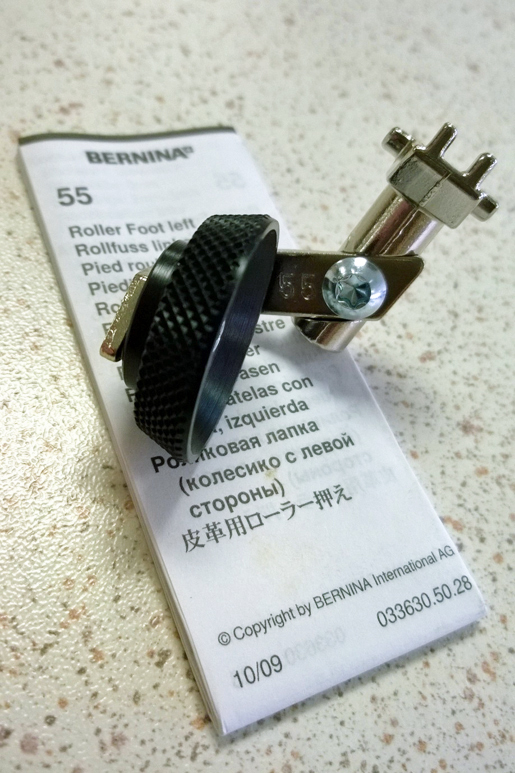 Leather Roller Foot #55 is definitely one of the most unusual looking presser feet in the BERNINA collection but it’s also one of the most fun to use! 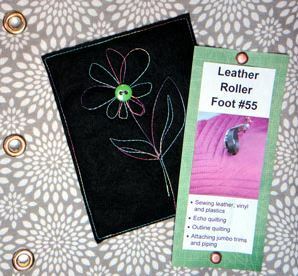 Attach Leather Roller Foot #55 to the machine; adjust the needle position to the far left to sit next to the wheel of the foot. 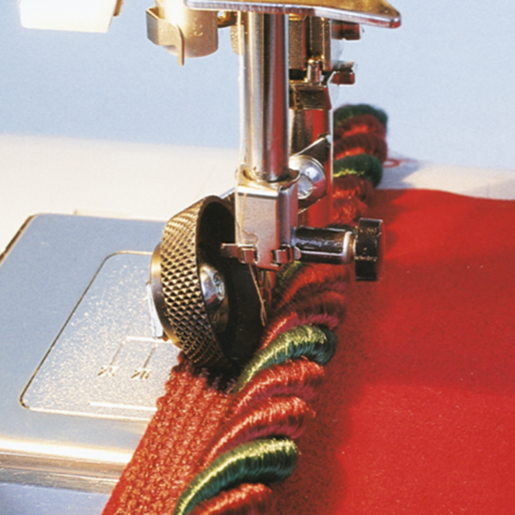 Place the trim on the right side of the fabric edge, aligning the flange of the trim with the raw edge of the fabric. Stitch the trim to the fabric, sewing next to the trim. Place a second piece of fabric right side down, aligning the raw edges of both fabrics. 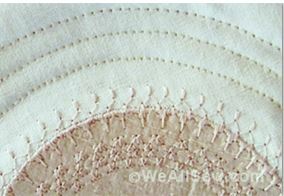 Using the same settings as above, stitch through all layers, on top of the first stitching.